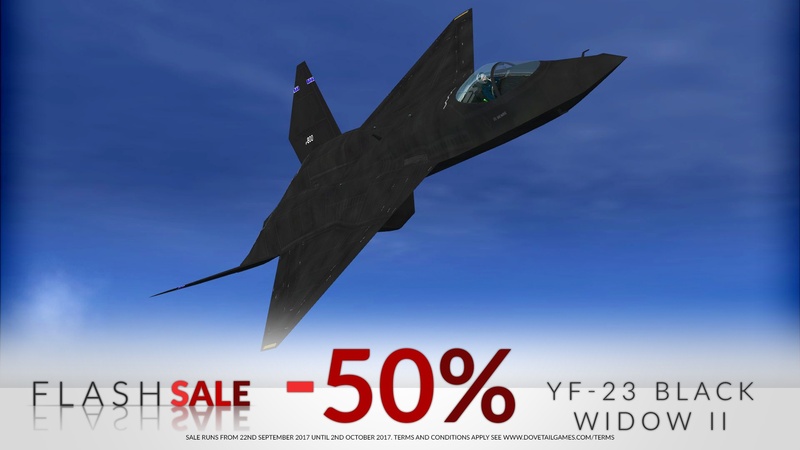 We’ve got some cracking deals across hundreds of add-ons for FSX:SE. 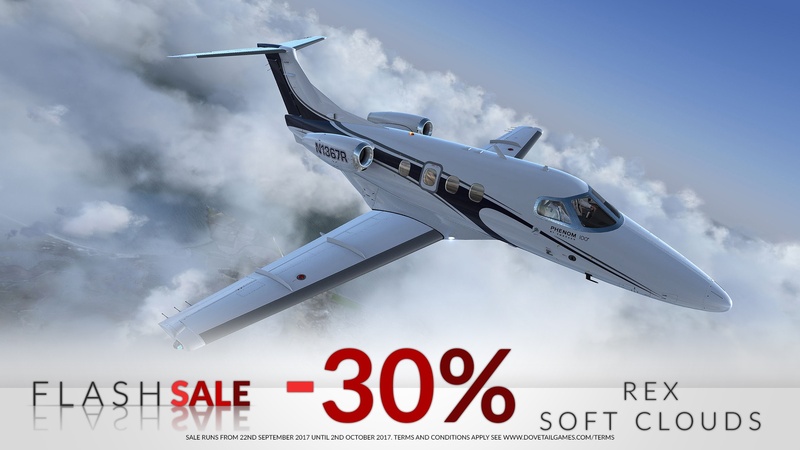 Whether you’re looking for some new aircraft, missions or scenery then you’re going to be spoilt for choice. 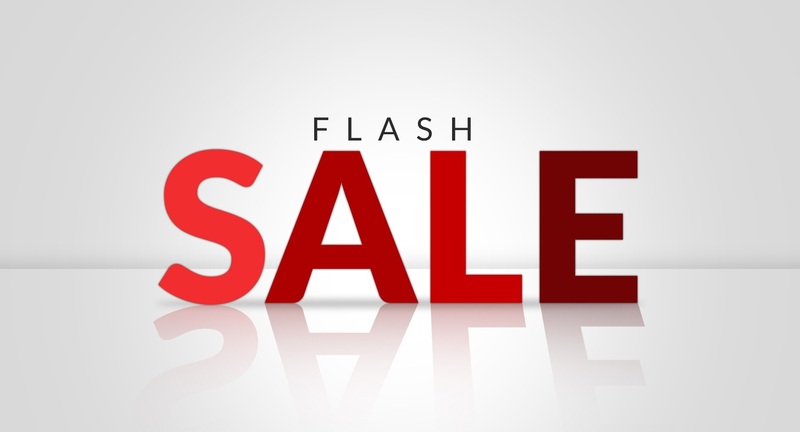 Head on over to this link for the full list, or read on below to see a few of our favorites. 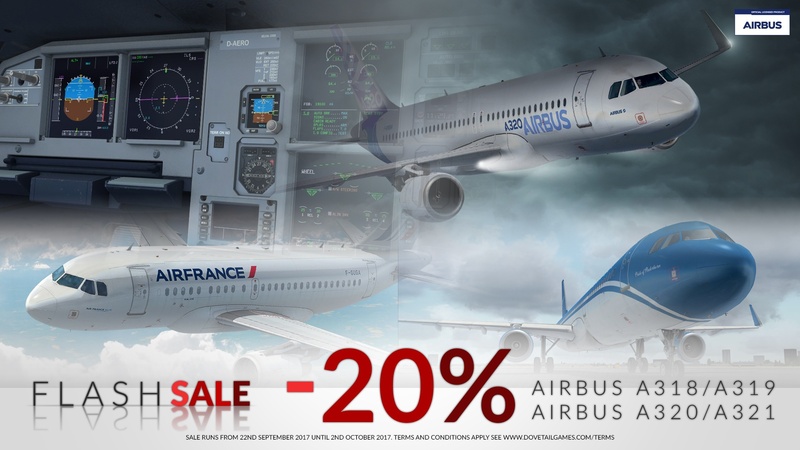 A slick deal Fly-by-wire fans with 20% off Aerosoft’s A318/A319/A320 and A321. 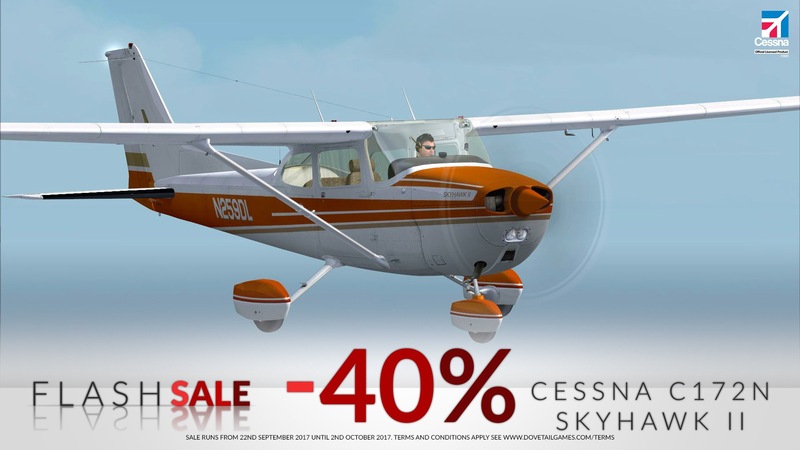 A real classic training aircraft, the Cessna 172 is a staple for learner pilots all over the world. REX Soft Clouds is a volumetric-like soft cloud texture add-on, designed to give a true volumetric feel to clouds and recreate the experience of volumetric haze and fog. Twitch Broadcast Featuring Special Guest Announced!